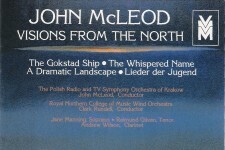 John McLeod is one of the UK's busiest and most prolific composers and has been resident in Edinburgh since 1970. He studied composition at the Royal Academy of Music with Sir Lennox Berkeley winning several prizes for his work. In 1979 he won the coveted Guinness Prize for British composers and in 1989 was elected a Fellow of the Royal Academy of Music. John is passionate about life and about music and that is reflected in his colourful and challenging orchestral, vocal and instrumental works which are now being commissioned, performed and recorded by leading orchestras and soloists throughout the world. 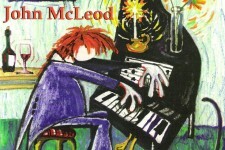 ‘John McLeod is a very singular composer, his music unlike anyone else’s. Although it can also be extremely sensual, McLeod’s music often seems granite-like, boldly coloured, charged with a sometimes savage energy, and somehow thoroughly Nordic’. BBC Proms – Aldeburgh Festival – St Magnus Festival – two Scottish Chamber Orchestra premieres – a new Piano Sonata No.5 and three highly acclaimed CDs of his chamber music, orchestral works, and the complete music for solo piano – all played by outstanding artists including Red Note Ensemble, Dame Evelyn Glennie, the RSNO and pianist Murray McLachlan. John McLeod CBE is one of Scotland’s foremost composers and amongst the UK’s busiest and most prolific. He studied composition at the Royal Academy of Music with Sir Lennox Berkeley, but later came under the influence of Polish composer Witold Lutoslawski who became his mentor. John has won many awards for his work including the Guinness Prize for British composers. He was elected a Fellow of the Royal Academy of Music in 1989 and was a recipient of the British Academy of Songwriters, Composers and Authors (BASCA) Gold Badge in 2014. He has been shortlisted twice for a British Composer Award and in June 2016 was appointed CBE in the Queen’s Birthday Honours. His works have been commissioned, performed and recorded by leading orchestras including the Philharmonia, Hallé, BBC SSO (12 works broadcast) RSNO, SCO, NYOS (22 performances) as well as orchestras in Poland, Germany and the USA and by many ensembles and international soloists including Colin Currie, Peter Donohoe, Raimund Gilvan, Dame Evelyn Glennie, Benjamin Luxon, Jane Manning, Mark Tanner and Murray McLachlan. Please take time to browse through the various sections of the website, perhaps starting with his Biography to discover more about his career to date and then find out where and when you can hear his music ‘live’ this year at Latest News and Performances. 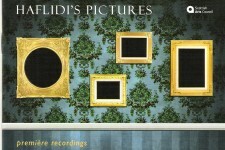 In his extensive Catalogue you can see details of scoring and duration and perhaps listen to some of his music through SoundCloud. John is always pleased to hear your comments and enquiries so don’t forget to use the Contact and Links section of the site.